Gas is one of the four fundamental states of matter. A gas mixture contains a variety of pure gases from the air. 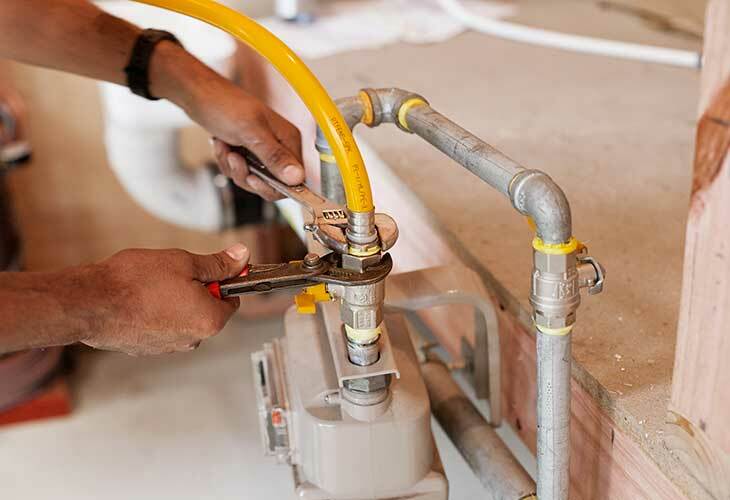 A gas plumber on the other hand, is a plumber who specialised in the installation and repair of gas appliances, gas fittings, regulator valves to gas like water heaters and gas stoves. On the other hand, Gasfitting is work that involves altering, repairing or installing gas appliances. This means fixing gas pipes, ventilation or flue pipes, gas appliance commissioning and ensuring safe operations across any gas devices.Thus, to ensure the safety is not compromised, legislation is in place to protect the safety of the household. Crown Plumbing Specialists are fully licensed and compliant plumbers who work with all types of gas appliances and fittings.